The Universal Periodic Review (UPR) is a procedure, during which each country reports about human rights and freedoms situation to the UN and receives a critical assessment of the report. The UPR is a mechanism created according to the General Assembly resolution of 15 March 2006. Each country is subject to the Universal Periodic Review every four years. During the review, the country presents the report on the human rights situation. Human rights defenders, in turn, submit a so-called “shadow” or alternative report. Firstly, Ukraine reported to the UN High Commissioner for Human Rights in 2008. In October 2012, the National Report of Ukraine as part of the UPR was considered by the 14th session of the UN Human Rights Council (UNHRC). After it, Ukraine received 145 recommendations from representatives of 47 countries regarding the problems that need solving. Nearly the Government accepted 80% of the recommendations, and did not accepted about 20%. The largest number of comments to Ukraine was about areas such as fighting discrimination and ensuring tolerance (40 recommendations), the rule of law (30), penitentiary system (16), international conventions implementation (15), and the rights of the child (14). The coalition of human rights organizations on the preparation for the UPR was established in order to monitor the implementation of these recommendations. The Coalition has prepared an alternative report for the Ukraine’s interim reporting in 2015. More than 80 NGOs has participated in the preparation of the report. They have assessed the state of Ukraine’s implementation of the received recommendations and focused on new challenges in the field of human rights: human rights violations during the Euromaidan protest movement, during the armed conflict and the annexation of Crimea, and the rights of IDPs. At the same time, human rights defenders noted that Ukraine has fully implemented only 3% out of 114 recommendations, while almost half (46%) was assessed as executed unsatisfactory or not executed at all. During March, experts of the Ukrainian Helsinki Human Rights Union together with the Coalition partners had conducted significant work to select information to prepare the alternative report for the following Ukraine’s reporting to be held in 2017. Preliminary meetings and analysis have showed that a lot of critical materials had been accumulated in almost all areas of the future Ukraine’s reporting, which must be submitted to the UN Human Rights Council. Therefore, it was decided to prepare a series of reports on behalf of the coalition partners: Coalition on IDPs Human Rights Protection, Coalition Against Human Trafficking, Anti-Discrimination Coalition, Anti-torture Coalition and the Children’s Rights in Ukraine Coalition. The Coalition in the preparation for the UPR has also prepared their report. The authors focused international experts’ attention on the problems of enforcement of judgments, the rights of asylum seekers and refugees, people with disabilities, compliance with environmental rights issues of citizens’ participation in public affairs and so on. Separately, the strategic challenges related to the military conflict, which revealed the inability of the traditional criminal justice system to protect fundamental human rights, were stressed. In the alternative report, in particular, it was stated that the investigation of crimes committed in the conflict zone are conducted uncoordinatedly and independently by three different entities – the Main Prosecutor’s Office, the Security Service, the Ministry of the Interior of Ukraine. This distribution does not allow drawing a complete picture of Russian aggression, and accordingly – preparing the evidence base for consideration at the International Criminal Court. As a result, in Ukraine there is no single database of persons who died during the conflict; no database of the damaged property; separate database of combatants suspected/accused of crimes committed in the conflict zone. The current problems are investigation of war crimes, legal mechanisms for the exchange of prisoners, compensation for victims of conflict, social protection of IDPs, movement of persons across the separation line. 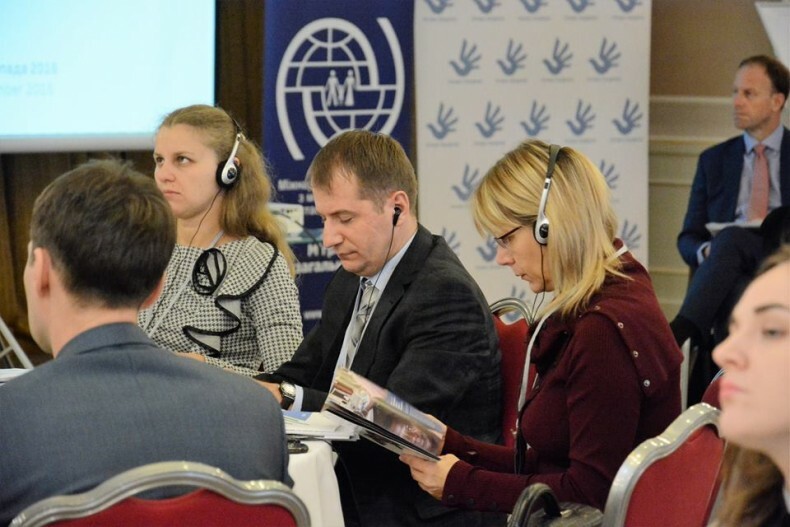 Human rights defenders stressed the need for early reform of the civil security sector, ratification of the Rome Statute, introduction of “hybrid” courts and principles of transitional justice in practice of judicial and law enforcement bodies of Ukraine. The next step after the UN receipt of the alternative reports, prepared by human rights organizations, should be a series of meetings of experts of non-governmental sector and authorities to coordinate their positions and form a package of proposals addressed to the government.